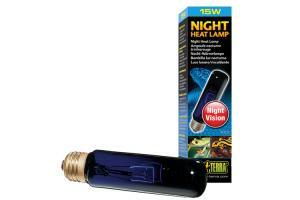 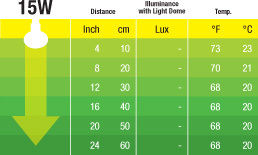 Can be combined with Repti Glo or Daytime Heat Lamp for a 24-hour cycle. 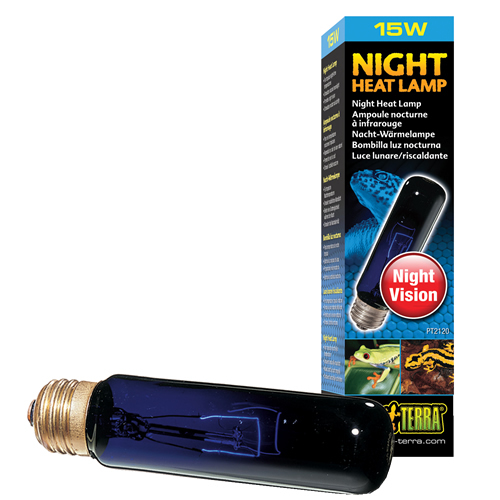 The lamp which simulates natural moonlight night observation makes it possible, without having to disturb the day and night cycle of the animal. The light emitted is bluish due to the use of blue glass. 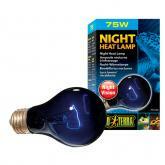 The heat generated by the bulb is minimal but enough to approach a tropical night temperature. The lower wattage of the lamps does not interfere with the natural drops in temperature at night.